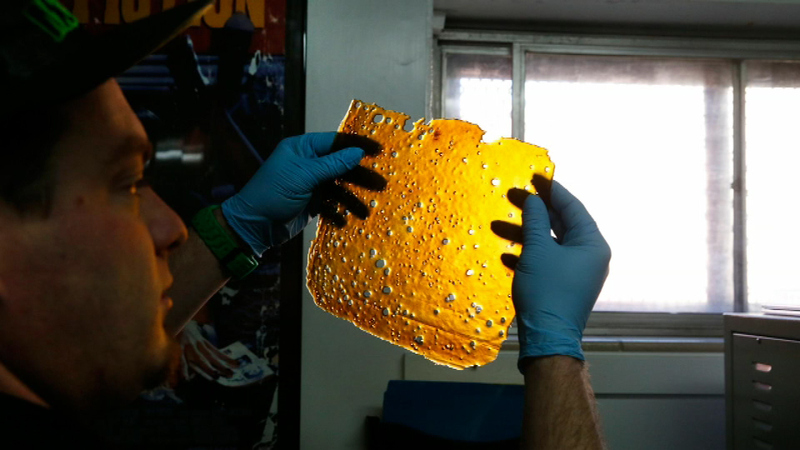 "Shatter" resembles a sheet of amber or brown glass and contains a high concentration of THC, the primary psycho-active chemical in cannabis. CHICAGO (WLS) -- Illinois State Police have issued a warning about a drug that's new to the Chicago area. Police say it's up to six times stronger than the average marijuana cigarette. Illinois state police say the drug can cause users to disconnect from reality. Police arrested three people in Grundy County this summer for possessing shatter.